By acting as a bridge between the digital and physical worlds, Coins.ph helps millions of ordinary people make payments quickly and through a cell phone that might otherwise require long distance travel and hours of standing in line. In this way, Coins.ph is using bitcoin and the blockchain for the reason it was developed by Satoshi Nakamoto, which sets it apart from a majority of other blockchain-based businesses who tend to build blockchains first, conduct crowdfunding second, and look for applications third. This week we perform an exclusive follow-up interview with Colin Goltra, Head of Cryptocurrencies at Coins.ph. In our first interview, we discussed the transformative power of bitcoin on third world countries, specifically the Philippines, where Coins.ph is headquartered. Coins.ph is using bitcoin (and now other cryptocurrencies) for what it was truly intended: helping to level the financial playing field, saving people much-needed time and money in the process. 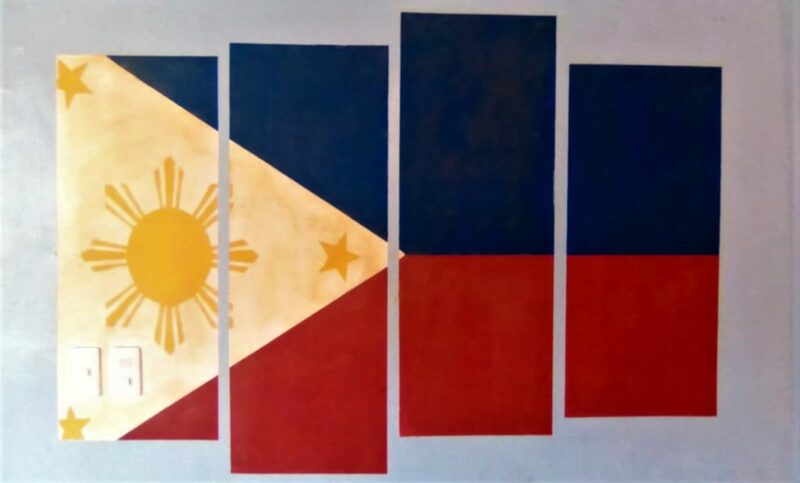 In countries like the Philippines where digital communications infrastructures are often underdeveloped and banking products not readily available to the masses, there is a great need for time and money saving solutions like Coins.ph, as the room for improvement in quality of life is dramatic and always welcomed. Hi Colin. Good to have you back. CG: Thanks for having me back. A lot has changed since we last spoke in April — with bitcoin, which has dropped a couple thousand dollars in price since we last spoke, and sounds like with Coins.ph as well. Have you seen much growth in terms of business or your customer base since our last interview, in April? CG: Obviously the price correction affects certain groups of our users that primarily use us purely as a crypto platform, but I think what we have been excited to see is that even during market downturns like this we have continued to grow in a way that we feel comfortable with, especially in day-to-day payment categories where people are less affected by the price of any one cryptocurrency but are instead just using the Blockchain technology in the background – as a means to an end instead of an end in itself. For some context on our business growth, we recently announced that we have more than 5 million customers here in the Philippines; we also recently passed saving 1,000 years of customers’ time waiting in line to pay cash for things (the number is on the front page of our site). I think this time last year we had only a bit more than 1 million total customers… Somewhere between 1 and 2 million. Congratulations on reaching some tremendous milestones and for helping people actually use bitcoin as a utility. It seems like all-too-often bitcoiners forget that bitcoin was designed to be more than an investment opportunity. I notice you’ve added support for a few more coins recently and expanded your range of services. Do you have any new developments in the works? CG: I believe last time we spoke, the major developments we discussed were the then-recent rollout of our ETH wallet and the announcement of our exchange, CX. Since then, we have continued to expand the private beta test for CX, where we’re continuing to roll out new features, currencies, experiences, etc. every day, in preparation for our full public launch. Another development for the cryptocurrency side of our business is that we’re rolling out support for Bitcoin Cash (BCH) in our core wallet platform. The strategy there being that, in the same way that our wallet offers interoperability and choice between various payment platforms, we should also allow users to access different mainstream blockchains, as each one may be focused on different use cases that our customers will want access to. Of course, this is all in addition to adding core payment use cases and integrations to make the wallet (both for fiat and for crypto) more generally useful for day-to-day financial transactions. We have been launching integrations for public transportation, government bill payments, charitable giving, and tons of other unique use cases. There’s even a yoga studio here in Metro Manila where you can pay for classes using Coins.ph! Cool, sounds like you’re definitely breaking down some barriers in terms of mainstream adoption of digital payments. In a way, Coins.ph is already acting as an exchange, in that users can convert BTC into a digital form of the local currency, the peso, which can then be cashed out for regular pesos at a cashout center or ATM. Going back to the new exchange, CX, what features will it have that make it different from Coins.ph? CG: From a customer experience standpoint, we really think of CX as a way for the crypto-enthusiasts at Coins.ph to up their game and go pro. We have detailed interactive charts and technical analysis tools, a variety of order types, etc. that simply aren’t offered on Coins.ph. Customers will be able to trade in and out of fiat at unlimited volumes, whereas on Coins.ph they encounter volume limits trading in between the various wallets (for regulatory compliance reasons). The main differentiation for CX versus the exchange landscape globally will be that we’re focused on providing cryptocurrency pairs against localized fiat (PHP) here in the Philippines, which right now users don’t have access to. Additionally, because our existing Coins.ph wallet requires us to manage liquidity and inventory, rather than matching users directly, we believe price discovery will be more efficient and crypto liquidity will go deeper in the Philippines – which will make prices on CX, Coins.ph, and even other platforms in the region more competitive with international rates, where right now there is a bit of rate friction. What coins will be listed on CX initially? CG: We will offer fiat pairs BTC-PHP, ETH-PHP, BCH-PHP, XRP-PHP, LTC-PHP, and crypto pairs: ETH-BTC, BCH-BTC, XRP-BTC, LTC-BTC. Speaking of trading in and out of fiat: will CX have integration with user bank accounts, and if yes, will it be mainly PI banks, or do you plan to service a broader customer base? 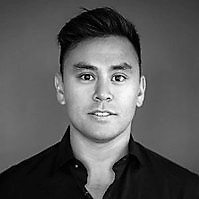 Great question; we haven’t fully shared that roadmap publicly just yet, but one of the major innovations will be that, at least in the Philippines, CX will have access to basically the entire cash-in and cash-out network of Coins.ph, since those platforms are already very closely integrated. That said, you may very well have noticed that we have placed CX on our coins.asia domain instead of our coins.ph domain, which was a very deliberate decision. I think that given our presence in Thailand, Malaysia, and other Southeast Asian countries going forward, we see our exchange as a core part of our platform strategy throughout the region. Many countries around the world are ramping up oversight and regulatory efforts when it comes to crypto. Is the potential imposition of new laws in the future anything you’re worried about? What has been your experience (or the experience of Coins.ph) working with the federal government in this regard? CG: If you had asked this question a couple years ago, our answer would have been less confident, but here in the Philippines, the Central Bank (BSP) has actually issued pretty progressive guidelines for crypto/blockchain companies. They released a ruling which created a “Virtual Currency Exchange” license for businesses in the space like ours and we were actually the first company to receive it. Among other things, it holds us accountable to certain international compliance standards regarding Know Your Customer (KYC) and Anti-Money Laundering (AML) policies, as well as some other consumer protections. Much of this was stuff we had already been doing to keep customers safe and then getting that additional clearance from the regulator has actually helped us a great deal in terms of credibility with customers, partners, etc. In addition to the Virtual Currency Exchange license, which is what encapsulates the crypto activity for our business, we also have a license as an Electronic Money Issuer (EMI) and a license for international remittances. Obviously, we continue to follow this stuff closely and see how other areas of government interact with the technology, but in general we take a very proactive approach of self-regulating and communicating where we can. Overall the regulators have done a very solid job of allowing businesses like ours to flourish here without stifling innovation. That’s really good to hear and it sounds like the government there is taking an approach based in a positive mindset. 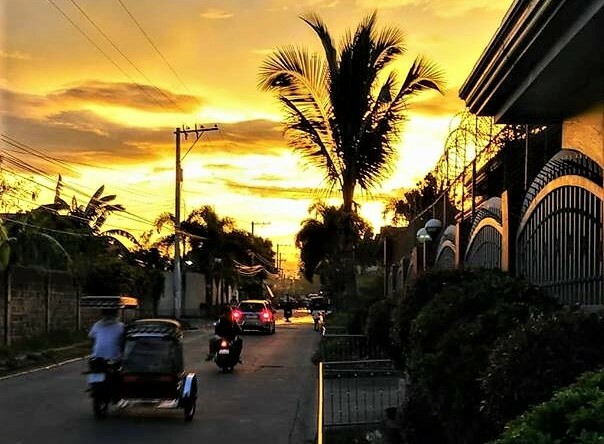 You mentioned earlier your Philippines user base has expanded to 5 million accounts, which is a whopping number of bitcoin users (roughly 5% of the total population has a bitcoin account with Coins.ph). Can you share any stories of customer experiences you might have from people who’ve really been able to transform their lives or businesses with the help of Coins.ph? CG: I mean, for us, what is always exciting is that since we have really focused on creating a flexible, interoperable platform, there’s a ton of emergent user behavior that we never really anticipated. One example is that, because we often give rebates on core bills and mobile load payments, customers often create businesses around paying for things on other peoples’ behalf (often their neighbors). Basically, [the business model is] “I’ll pay your bill for free” and then they monetize by receiving the rebate from that bill. I can see how there’s a potential for profit there. CG: So it allows for the end customer to pay their bill at cost (saving both time and potential service fees from other providers not receiving a rebate). And, it allows the bill payer to receive the rebate for his or her efforts. We like creating win-win scenarios like that. What’s also cool, is this model is often particularly useful in the furthest provinces, where less people will have connectivity access. So a single sari-sari store [mom-and-pop, house or windowfront goods store] might do this on behalf of the village because many of their neighbors won’t have any kind of connectivity. Really, it’s a behavior that allows us to penetrate the edges of the network, so to speak. On the topic of connectivity… As we all know, crypto life grinds to a halt without an internet connection. Sometimes staying connected or finding a strong signal can be quite a chore in the Philippines. For the people who live there, do you have any recommendations for how to connect to Coins.ph without a mobile phone load (prepaid mobile credit) or a strong data signal? CG: Actually, this is a good opportunity to tell you about Coins Bot. It’s a workaround we’ve built because we know the connectivity problem can be a real challenge for our customers. Basically, if you are out of mobile load, you can use the free internet on Facebook Messenger (because Free Basics subsidizes connectivity for its services) to reload your phone, even if you don’t have access to Coins.ph (because you are out of load). To clarify, the Bot is something via the Coins.ph Facebook page that allows you to buy load. Free Basics is a Facebook initiative for developing countries like the Philippines. Sounds like a pretty smart use of Facebook. On the subject of Facebook, have you noticed that a lot of Facebook groups have co-opted the Coins.ph name to try to advertise scams and whatnot? Do you have any advice for your users on how to avoid cryptocurrency scams, which seem to be pretty rampant in social media (particularly Facebook)? This practice seems pretty devious but its also widespread. 1 – Financial literacy and investment culture in the Philippines is pretty low. There’s not really a lot of context of people investing in traditional investment classes, so there really isn’t widespread understanding of what makes something a credible versus fraudulent endeavor. Even before cryptocurrency and the internet, the region had been rife with Ponzi schemes and multi-level-marketing plans. 2 – Facebook. Something I tell others when they get to the Philippines is “Facebook is the internet” here; it has kind of that same effect that AOL had in the U.S. circa 1999, where a huge proportion of users basically just use Facebook products (FB, Instagram, Messenger, etc.) for their entire Internet activity (which is especially exacerbated by the fact that there are Free Basics, as we discussed a moment ago). Because there’s this centralization of communal online activity and communication, you can almost look at the spread of Ponzi schemes from an epidemiological perspective – where bad ideas are spread and shared like a plague in a medieval village. It’s really unfortunate. 3 – Crypto Hype. Basically, there are a ton of people very publicly getting rich on mainstream crypto assets, so people are willing to let their guard down in order to “find the next Ethereum.” This is obviously a huge issue globally, but when you combine it with the low financial literacy and centralization of community activity, it really magnifies the problem. 4 – Coins.ph has 5 million users. Obviously, we try our best to combat this stuff and we’re getting better at it every month, but as we continue to scale, we inevitably get mentioned in these sorts of things because the population of bad actors at the periphery grows as our user-base does. It’s the same thing as people posting illegal content on YouTube: edge cases are bound to happen at scale. Overall, these factors combine to really make the issue problematic, but something I like to say is that “Snake oil is always sold on the frontier” — fighting against these sorts of things is the cost of doing business on multiple frontiers (emerging technology, emerging market, emerging social classes). In terms of fighting the issue, our team works to keep users educated and monitors fraudulent actors in our system. Customers hoping to avoid scams should understand things like “guaranteed returns” don’t exist and that they should never share their account information with others. These sorts of things are social frictions that will be smoothed out as the Philippines further enters the digital economy. Last but not least: any plans on launching a Coins.ph Coin? It seems to be all the rage these days. CG: Not something we’re discussing at this stage. Like many of the leading blockchain and payment companies globally, we have already built our business model successfully without a designated token, so it would be pretty weird to go back and claim that we need one without some specific new use case for it. I’m actually pretty skeptical of many of the businesses that launched without tokens that claim to need them after the fact: they’re either very bad at planning or (more likely) some combination of opportunistic/desperate for what they believe to be less critical sources of capital (traditional venture investors apply a lot more scrutiny than a faceless crowd does). Fair enough. Well hey, is there anything I might have missed? CG: I think I’ve said probably too much as it stands, haha, but will let you know if I can think of anything else. I suppose that’s a wrap, then. Thanks for your time Colin, and congratulations on the continued success of Coins.ph. CG: Thanks man. Great chatting as always. To open a Coins.ph account from your desktop computer, click here. To download an Android version of the Coins.ph app from the Google Play store, click here. To download an iOS version of the app, click here. 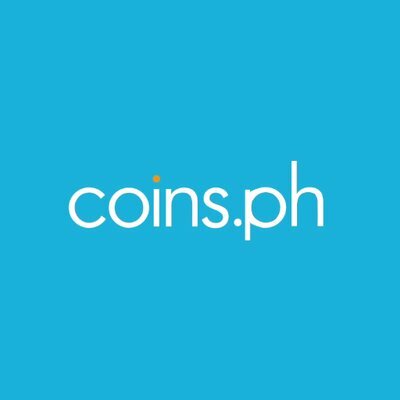 For answers to other questions about Coins.ph, we encourage you to visit the FAQ section of their homepage.